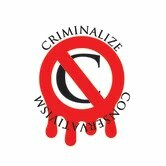 Last month, Occupyforaccountability.org "...offered a million dollar reward for information leading to the arrest and conviction of anyone who rigged a federal election on November 6th. (They) urged computer experts to contact (them) with information about any election manipulation of the tabulation results." "The letter indicated that 'ORCA Killer' was launched at 10am EST and 'The Great Oz' at 8pm EST on November 6th. 'The Protectors' watched as ORCA crashed and failed throughout Election Day. They watched as Rove’s computer techs tried 105 times to penetrate 'The Great Oz' using different means and passwords. "Finally, they issued the following warning to Mr. Rove: don’t do it again or they would turn over the evidence to Wikileaks founder Julian Assange." Occupyforaccountability.org said they were "...unable to vouch for the contents of this letter anymore than...the video by Anonymous warning Karl Rove not to rig the election. "However, we can analyze that content under the prism of Mr. Rove’s history and facts over the past few weeks. We do so in the hope that this will lead to an investigation of Mr. Rove’s entire operation ala General David Petraeus. In that spirit, we provided this information to the FBI prior to publication, and followed up after publication. For years, we have campaigned for a complete investigation of Mr. Rove. And we have provided extensive legal memos and evidence to the FBI to support such an investigation. "Karl Rove has a history of rigging elections going back several decades, including in 2004 when he orchestrated a man-in-the-middle attack to change the votes from Ohio. "In 2012, Mr. Rove’s SuperPacs raised and spent hundreds of millions on behalf of GOP candidates. He courted billionaires and promised them that his candidates would win. "Days before the 2012 election, Mr. Rove predicted a strong Romney win. His spinnerslionized him in articles that portrayed him as invincible. 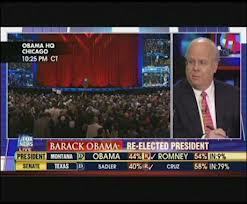 "On election night, Mr. Rove worked the three states that held the key to the election – Ohio, Florida and Virginia. But when he tried to access the Ohio election website, he kept getting error messages. "Fox News’s Chris Wallace said the Romney campaign does 'not believe Ohio is in the Obama camp,' noting that he got an email from a top Romney aide who said the campaign disagrees with the network’s call. He then asked Rove if he believed Ohio has been settled. “'No, I don’t,' Rove said. "The Rove/Romney coalition created Project Orca, which was supposed to enable poll watchers to record voter names on their smart phones, by listening for names as voters checked in. This would give the campaign real-time turnout data, so they could redirect GOTV resources throughout the day where it was most needed. They recruited 37,000 swing state volunteers for this. "Two weeks prior to the November 6th election, the hactivist group Anonymous posted a video warning Karl Rove not to rig the election. 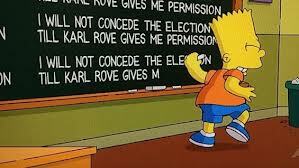 "They told Mr. Rove that he was being watched and that if he attempted to rig the election, he would be stopped. That video went viral in just days." 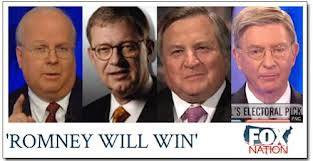 "Apparently, 'The Protectors' were able to completely thwart Karl Rove’s attempts to manipulate this election by employing a firewall to stop man-in-the-middle tabulation attacks and improper transfers of tabulation data. Moreover, apparently, they were able to pinpoint and exploit flaws and structural weaknesses in Project Orca that caused a cascading of problems and subsequent catastrophic failure. Apparently, there was some connection between Mr. Rove and Project Orca, and they were probably both plugged into the same voter database." "We are hopeful that billionaires, SuperPacs and politicians will see, as governments in Tunisia, Egypt and elsewhere have seen, that a few dedicated cyber sleuths can protect democracy from corrupt power brokers by thwarting electoral crimes. We are hopeful that everyone will see Karl Rove for what he is – a scammer who can’t win without cheating and manipulating election results." 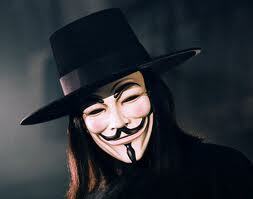 Only when Conservatism is criminalized will we know that our votes have a decent chance of being counted. 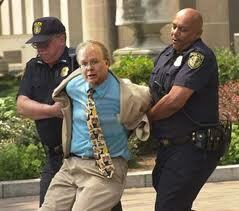 Only when Conservatism is criminalized will we be protected from "corrupt power brokers" like Rove. Only when Conservatism is criminalized will we realize that Conservatism is nothing more than a criminal conspiracy designed to destroy our Constitution and plunge us into an age of American Feudalism. But I know for sure that Rove was banned from the Ohio Sec of State website. How do i know? He told me on national TV. Furthermore, the ban was updated in real time. Here is the video. Look at three time indices. At time index 1:30, Rove says: "secretary of state website... I have the director of the Ohio campaign for Romney on the other end of the line, refreshing the page every few seconds." location. He was banned. He could not reach the site himself, so he had to get Ohio data from a remote computer. The site was operating properly, it just would not load FOR HIM. Time index 3:50: "Apparently the website has now been crashed, because they can no longer refresh the page"
No Karl, the site did not go down, Your remote computer was added to the ban. Somebody (we don't know who) had access to a list of People, Places, and the IP addresses that go with them. They simply cross referenced the list, and added a new ban. 17:05 "maybe we got you a slow computer back there? So there you have it, Karl Rove admitting on national TV that he was banned from the Ohio SofS website, and then getting his buddy banned too.